HOT BUY ** HOT BUY ** IN SANTA ANA!! - BRAND NEW WINDOWS ** NEW AC & FURNACE & DUCT WORK. All new interior redone ! With the Best Location in Tract! Single-Level End Unit with a ONE CAR GARAGE! Completely Redone interior -New Paint ** New Wood Laminate Flooring & Baseboards ** New Kitchen Stove, Faucets & Lighting ** New Bathroom Vanity & Mirror & Light Fixtures ** All New Window Coverings ** New Components - A/C & Furnace ** New Duct Work ** NEW WINDOWS JUST INSTALLED!! This home is ready to move in! 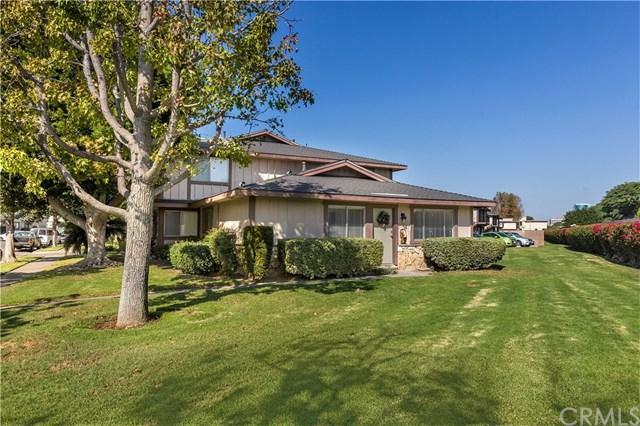 Spa HOT BUY ** HOT BUY ** IN SANTA ANA!! - BRAND NEW WINDOWS ** NEW AC & FURNACE & DUCT WORK. All new interior redone ! With the Best Location in Tract! Single-Level End Unit with a ONE CAR GARAGE! Completely Redone interior -New Paint ** New Wood Laminate Flooring & Baseboards ** New Kitchen Stove, Faucets & Lighting ** New Bathroom Vanity & Mirror & Light Fixtures ** All New Window Coverings ** New Components - A/C & Furnace ** New Duct Work ** NEW WINDOWS JUST INSTALLED!! This home is ready to move in! Spacious Open Floor Plan with 2 Over Sized Bedrooms. One car Shared Garage. This unit is located in McFadden Villas and has the best location in the tract. Community Pool & Beautiful Greenblelts - LOW LOW LOW HOA covers WATER, TRASH, GAS, INSURANCE, & all Community Amenities & Community Pool! Close to Schools, Shopping, Freeways and Public Transportation. Located in the TUSTIN Unified School District. Great rental potential or 1st Time Buyer Unit. SELLER EXTREMELY MOTIVATED - HURRY WON'T LAST AT THIS PRICE!